I bought a Horse Pal in 2006 after seeing the terrible bites on our horses, and the frantic running and bucking to get rid of the beasties. We (had) the big 1-1/2 inch long horse flies here. I was worried that I was throwing away my money, and this gadget wouldn't work as promised, but boy was I wrong. Your product really works! The week after I setup the trap, my horses were bite free and happy. I can't tell you how many flies your trap has caught in the last 2 years (thousands). None of your website images show the actual results, so I thought I'd send you one that does. 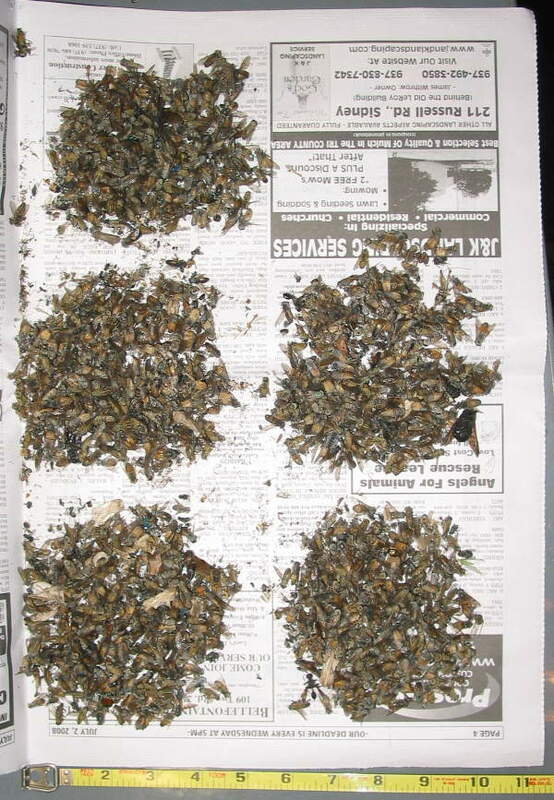 This is a capture of over 1000 biting flies caught between May 30 and July 10, 2008. If you post this for others to read here is my message to horse owners: "Buy it, your horses will thank you"